With the multitude of tattoo removal sessions Lasting Looks Clinic has performed in Toronto, for 15 years we are offering some tips to prepare for your first tattoo removal session. Contraindications are pregnancy, breastfeeding, immune-compromising health issues, no prior use of aspirin or medications that cause light sensitivity such as antibiotics or acne medicine. Since we will be removing pigment in your skin, it is necessary that the skin be tan free. Please plan around vacations as you will have to avoid sun prior and after treatment. Since the laser is dependent on color, tanning will confuse the laser and the laser would view your tan as pigment and target it and probably burn your skin. 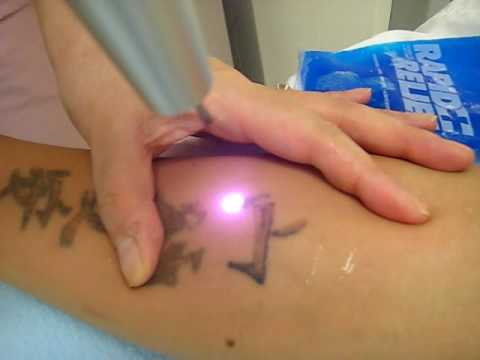 There is some pain that comes along with a laser tattoo removal procedure. If your pain threshold is low then be prepared to use topical numbing cream on the tattoo prior to treatment. Before treatment we need to make sure you have no sunburn, irritation or rash on that general area of where your tattoo is being removed. If the tattoo to be removed is new, it must be fully healed before we can start removing it. Please note that you must treat a lasered tattoo like a burn. You will have to avoid sun and heat at all costs.